Shimla: In the 214th meeting of Himachal Pradesh Khadi and Village Industries Board held here today, the Board has proposed projects worth Rs. 2324.30 lakh for finance by different banks under the Prime Minister Employment Creation Programme (Pradhan Manti Rojgar Srijan Karyakarm) during the current financial year. 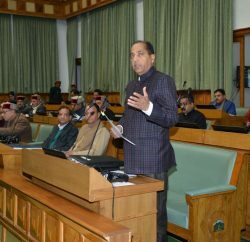 Industries Minister Mukesh Agnihotri presided over the meeting and while speaking on the occasion, said that the Board has proposed projects worth Rs. 2324.30 lakh to 349 beneficiaries for financing through different banks under the programme. He said that out of this amount the Board has provided Rs. 707.45 lakh as margin money grant to the beneficiaries. He said that after operation these units would provide employment to over 2200 people. He said that till date the banks have sanctioned 117 projects for which the Board has provided Rs. 195.80 lakh as margin money to 105 beneficiaries. 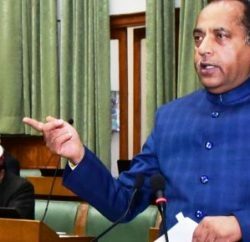 Industries Minister said that the Board has organised one state level and four district level exhibitions in the State for effectively promoting its products. 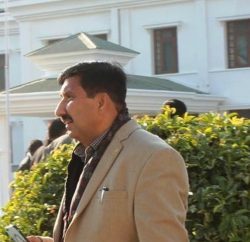 He said that a state level exhibition would be held at Mandi during the International Shivratri Festival. Chief Executive Officer Himachal Pradesh Khadi and Village Industries Board K.C. Gaur welcomed the Minister on the occasion and conducted the proceeding of the meeting. Director Industries Rajender Singh, Special Secretary Finance Rajesh Sharma and other Senior Officers attended the meeting.